Can a Lollipop Be the Solution to Cavity Prevention? Home/Dentistry Advice, Tooth Decay/Can a Lollipop Be the Solution to Cavity Prevention? How could candy possibly reduce the risk of tooth decay in children? It seems funny, that what we all assume is the cause of cavities may actually be a part of the cure! But a new study is indicating that this may very well be the case. A recent study by the European Academy of Pediatric Dentistry has shown that sugar-free lollipops, specifically those which contained licorice root extract, may reduce the bacteria which cause cavities in children. The study looked at 66 preschool students who were given a lollipop for ten minutes twice a day for three weeks. 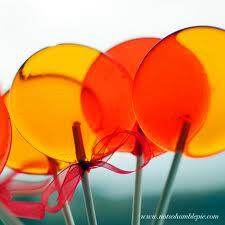 The study showed that those students who did have the lollipops had significantly reduced cavity-causing bacteria. “Early prevention is key for lifetime oral health and effective innovative protocols are needed,” says Jacqueline Tallman who is the principal investigator of the study. The results of the study showed that the incidence of the bacteria that causes tooth decay significantly decreased during the three weeks of the study, but also for just over twenty days after before the bacteria started to return. This shows that these lollipops have the potential to be a very low-cost and effective long term solution to dental disease prevention. It may be a while before the lollipops are available to everyone however. “While the results of this pilot clinical trial are encouraging, more research is needed to confirm these early findings,” says Jed J. Jacobsen, another worker on the study. But the lollipops were scientifically engineered to cease the growth of these bacteria. So hopefully we may be able to see the use of these lollipops become widespread in the future, and maybe they may even become a great and delicious choice for adult dental disease prevention! While these lollipops may be a great tool in fighting cavities, we should be careful not to use them as a complete substitute for regular oral hygiene. They should be used as an added boost to regular brushing and flossing, as well as our usual dental cleanings and check-ups. If you would like to make an appointment for a regular cleaning with Dr. James at Wells with South Charlotte Dentistry, please feel free to visit our contact us page or call our Ballantyne office at 704-759-0908.